Caption Founded by award winning independent filmmakers who were involved with the "independent underground cinema revolution" in the early and mid-1960's THE BERKELEY VIDEO & FILM FESTIVAL was created in 1990 to provide a venue for independent film and videomakers creating works that challenge and confront our notions of "Electronic Cinema." BV&FF programs and screens original works all which have been juried by a screening committee of professional media makers at mainstream film theaters in Berkeley California home of the free speech movement. 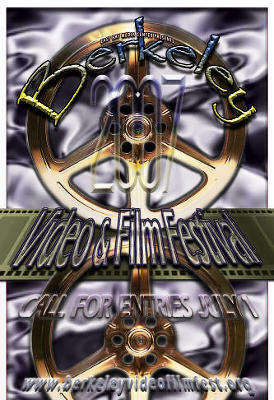 The festival issues awards in each category and promotes the individual filmmakers by insuring that their works receive media attention press reviews and screen presence. The rapid growth of THE BERKELEY VIDEO & FILM FESTIVAL in the past decade reflects the increased interest in independent electronic cinematography locally and globally. BV&FF continues to provide a context for everyone interested in independent media making today.